Halloween is an opportunity (and a perfect excuse) for people to dress up and become what they usually are not. Last year, when a stray werewolf jumped out in front of me, his appearance immediately took my breath away. 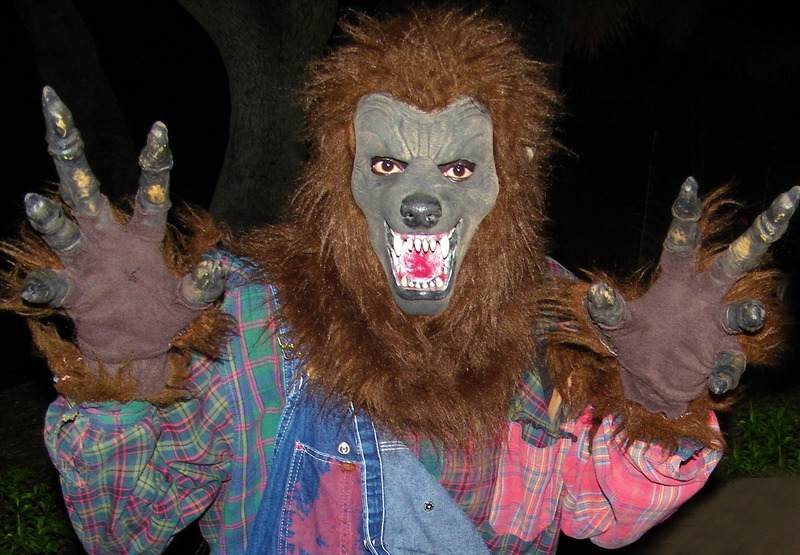 The simple addition of a hairy rubber mask and hands had successfully unleashed his inner beast. Power! The transformation from civilized man into wild animal was complete—until he stopped growling and allowed me to take his picture. Then, alas, the spell was broken. A week from now, October 31st, 2012, it will be Halloween night once again. People are already decorating their houses and yards with spider webs, jack-o-lanterns, ghosts, and other spooky things. 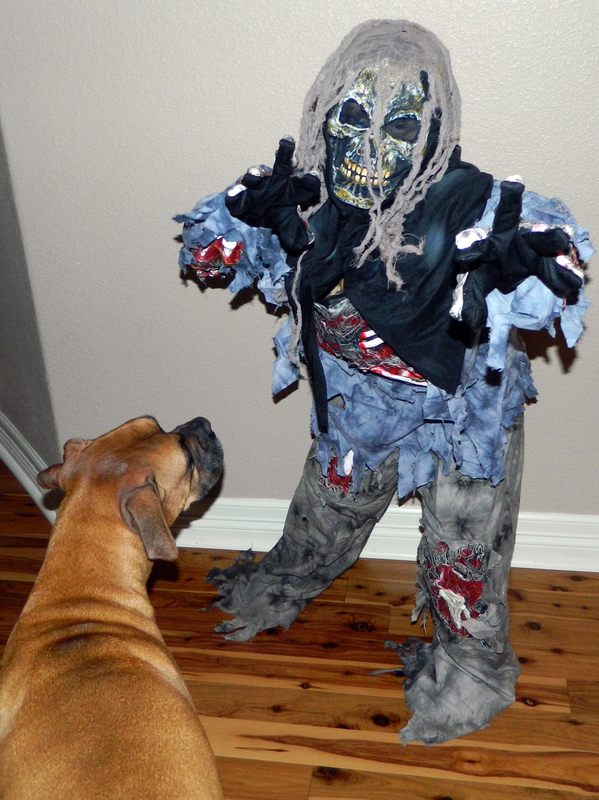 Children are trying on their costumes and practicing frightening poses, sometimes scaring themselves and the family pet too (actually, in spite of the mask, the dog in this photo recognized the young boy almost immediately). I know it’s going to be great fun, on the night when imagination runs wild, to watch the known and unknown come out to play once more! This entry was posted in Halloween, Imagination, LIfe, photography. Bookmark the permalink. That’s the fun of Halloween!! Let your imagination run wild, get scared and have fun!! Oh I love it!! Yes it is fun……especially watching the children enjoy themselves!